One of the more pleasant 'chores' of running the portfolio is the reinvestment of income generated in the tax-free brokerage accounts (ISAs in the UK). After having looked at a few options I noticed RSA's latest results announcement, which piqued my interest. RSA has been near the top of the FTSE dividend yield for a while but I was a bit wary of the high yield, which at around 8.6% is almost too high. Dividend cover is low, too - at 1.3 (but forecast to rise to 1.5 next year). However, the market's response to the results, a positive write-up in Motley Fool and the fact that RSA is increasing the dividend indicates to me that perhaps the company is undervalued. The RSA Insurance Group is a long-established international insurer. 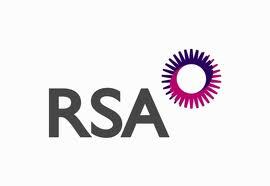 As RSA says on its website: "With a 300-year heritage, RSA is one of the world’s leading multinational insurance groups. Today, we employ around 22,000 people, serving 17 million customers in 130 countries. While our origins lie in London, RSA is a global company with businesses in both mature and emerging markets. We have major operations in the UK, Ireland, Scandinavia, Central and Eastern Europe, Canada, Asia, the Middle East and Latin America. Our focus on general insurance delivers strong, profitable performance, even in the most challenging market conditions. In 2010, for example, our net written premiums were £7.5bn." However, possibly in recognition of financial realities, RSA decided to grow the dividend at more modest levels, reflecting the impact of low investment yields and raised the dividend by only 2% - with an aspiration to return to a higher level of dividend growth as market and economic conditions improve. So, in summary: a very good yield, an international operation based in the UK and some assurance that the company is behaving sensibly in terms of its long-term future. Update 20/2/13: Indeed, the yield turned out to be too good. In the face of reduced profits the company has rebased the dividend - downwards, of course. Yes, I have some RSA and am thinking about getting more, but there is always the "too good to be true" factor concerning the yield. If you are a long holder and dont want to sell in a hurry this is a great stock. Where do you get such yields? from time to time the share will dip and from time to time the share will shoot up so you can always wait for a pop to sell if you want out.